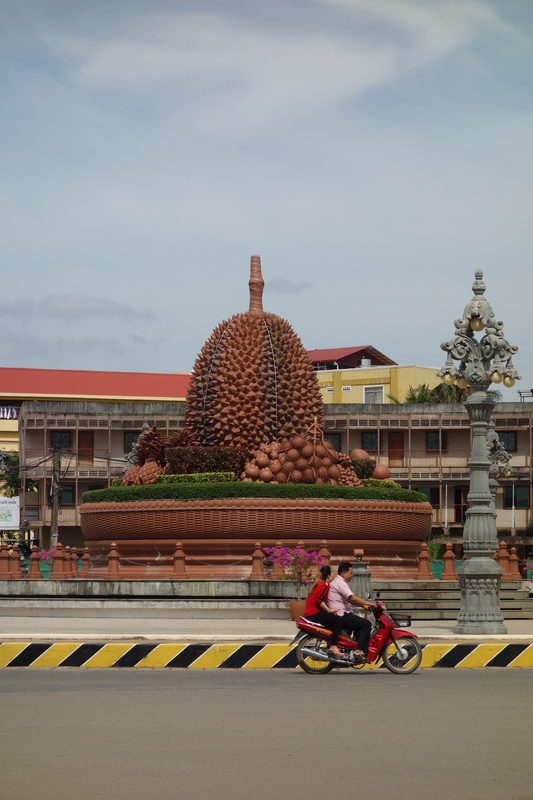 There is an enormous tribute to the durian fruit in Kampot. Tastes like heaven, smells like hell, my Dad taught me. They actually explicitly ban the consumption of durian fruits on busses due to their stench.